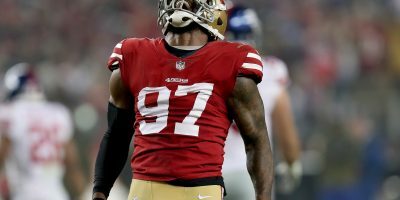 The 49ers’ 19th-ranked running game should be in the league’s top 10 with Frank Gore, Kendall Hunter and Anthony Dixon. Seven turnovers — six by Colin Kaepernick — have resulted in back-to-back losses. key injuries to Ian Williams (broken ankle), Patrick Willis (groin), Vernon Davis (hamstring), and Nnamdi Asomugha (knee). With Smith on the non-football injury list and Asomugha a game-time decision, undrafted rookie cornerback Darryl Morris was promoted to the 53-man roster Tuesday, while former Vikings outside linebacker D’Aundre Reed took Morris’ spot on the practice squad. The speedy Morris adds depth to a secondary that will face Sam Bradford, who has completed 62.4 percent of his passes this season and is 2-2 in his career against Jim Harbaugh’s 49ers. 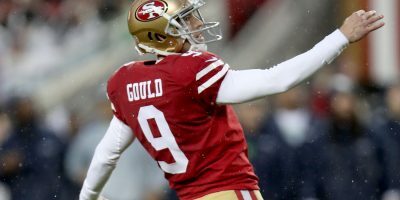 The 49ers haven’t beaten Bradford in the Harbaugh era since 2011 when Alex Smith defeated them twice. 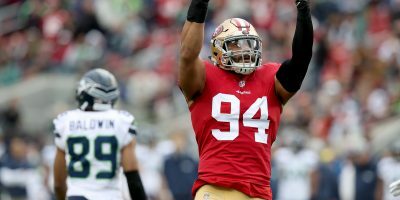 Smith was knocked out of their Week 10 meeting last season, after which Kaepernick led them to a tie and later lost in Week 13. So how will Kap and Co. beat Craig Dahl’s former squad? Precision. Harbaugh used the word six times at Monday’s press conference in reference to what the offense needed to improve to win. The guy who needs the most improvement is the quarterback. Fortunately for Kaepernick, the St. Louis defense — ranked 26th giving up an average of 288 passing yards and 105 rushing yards per game — offers a good opportunity to get a win and boost his confidence. “Pounding the rock” should open up the field for Kaepernick to complete short passes along with using more motion and stack and bunch formations to free up receivers like they did against Green Bay. They at least need to get into Phil Dawson range; you want Andy Lee holding kicks, not punting seven times a game. 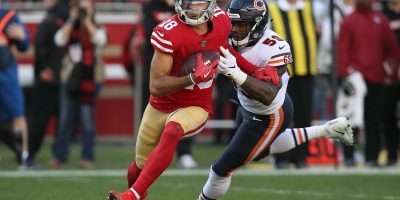 It seems likely that wide receiver Jonathan Baldwin and/or rookie H-back Chris Harper will be activated this week to provide some sort of spark behind Anquan Boldin especially if Davis is inactive. But sorry fans, there isn’t much confidence in LaMichael James, due to ball handling concerns, iffy-return man and doesn’t cover kicks. Of equal concern is the 49ers defense. Bradford, running back Daryl Richardson and the Rams’ young pass catchers will face a tough unit despite the loss of Smith and possible absence of Willis and Asomugha. Dan Skuta will start in place of Smith in the 3-4 with rookie Corey Lemonier subbing in for nickel packages. 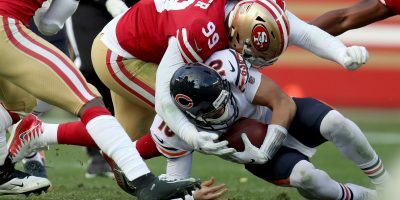 Per defensive coordinator Vic Fangio, both players and Ahmad Brooks are interchangeable on the outside. Over in the middle, Michael Wilhoite proved in the preseason — 20 tackles, three passes defensed and one interception in four starts — he’s capable of a Larry Grant-type impact if needed. The secondary might lose Asomugha’s physicality and cover skills, but veterans Tramaine Brock and Perrish Cox are comfortable filling in at No. 3. Look for a huge game from free safety Eric Reid. With 14 tackles, three pass deflections and two interceptions, his precision awareness could be the difference in the game. 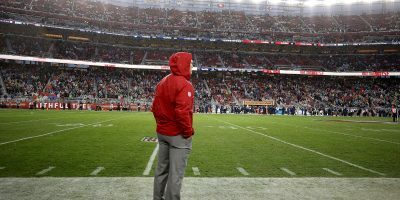 A win means the 49ers are back to .500, but coming home with a 1-3 record and another divisional loss begins to put the “Quest for Six” in serious doubt.